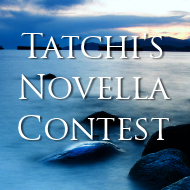 I need a title for a novella I'm working on for Tatchi to be released around Evergreen's release. So, I'm going to turn it into a contest and ask your opinion. I'd like it to play off either Ever or Never. 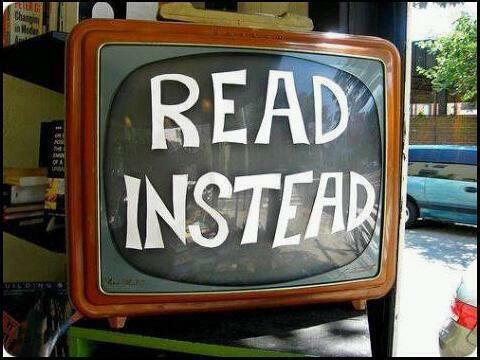 Or it could play off a color. There's already a book called Nevermore, Evermore, and Everneath, so I'm wanting to stay clear of those titles. Or any new releases that have the same name. The story will take place underwater in Natatoria and focused on Tatchi wanting to leave, but unable to because of ... well, if you've read Everblue, you'll know why. The contest will run from now 'til February 18th. Please leave a comment below with your suggestions. Enter as much as you want. I'll pick 5-10 of my favorites and then let you vote! Winner will receive a $50 Amazon gift card and a shout out in the acknowledgments! Sound fun? I hope so! Many of you in the book blog-a-sphere know Yara from Once Upon a Twilight. She's suffered a tremendous loss two days ago. 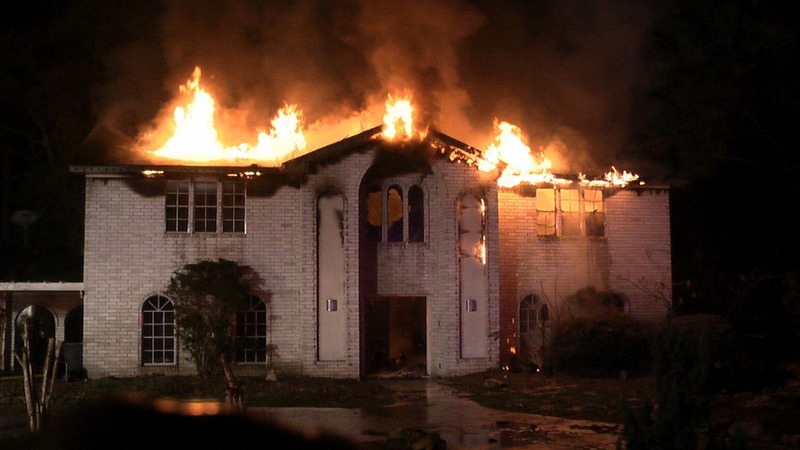 Her home burned, not once but twice, which has caused tremendous damage. You can imagine how horrible that would be to lose everything in one fail swoop. I had the pleasure to meet Yara over a year ago and work with her when she first started blogging. She embraced my books and has become a wonderful friend. I'm devastated for her, but glad no one was hurt. I'd like to help in this tragedy. 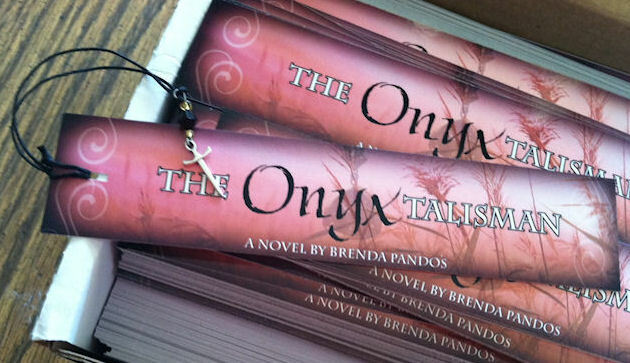 I'm donating a finished copy of THE ONYX TALISMAN to one lucky winner and gift a Kindle of the TALISMAN TRILOGY to another. 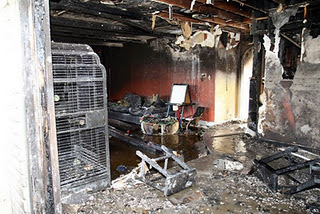 All you need to do is donate to the families fund, hosted by Twilight Moms, and provide receipt. If you'd like to enter, forward the paypal payment email to laniwoodland(at)laniwoodland(dot)com. You can erase the donation amount. We just need proof you donated. Then we will use random.org to pick a winner. There's lots of other prizes from other authors as well. Check it out HERE. 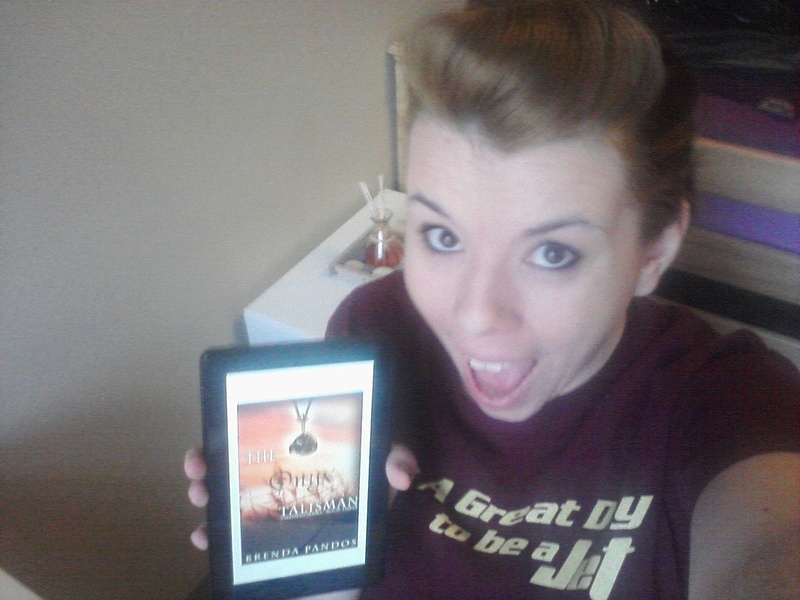 "This is literally how excited I was to download this book. :D :D :D :D :D Definitely not getting much sleep tonight!" These are the things I didn't see when I started writing. Thanks Courtney! 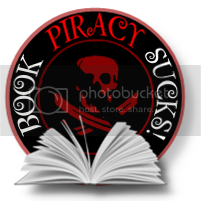 I'm also excited to share my new bookmarks! Squee. Note the cute dagger charm! If you check out my freebies link and join my street team, I'll send you one with a SASE. 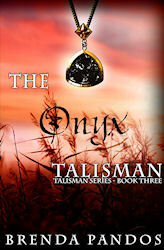 The Onyx Talisman is sweeping Amazon by storm, listed as a best seller in these categories: #37 in Futuristic, #60 in Fantasy. I'm on cloud nine. Thanks everyone! The box book set (trilogy) will be out later this week and physical books later this month. 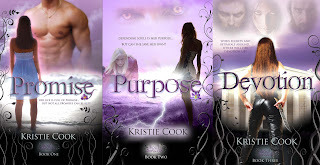 I'm excited to announce the cover reveal of Devotion, Kristie Cook's third book in her Soul Savers Series, to be published in February 2012. But not only did I design the cover, I had the privilege to read the early release copy and .... *swoon* ... it's AMAZING! 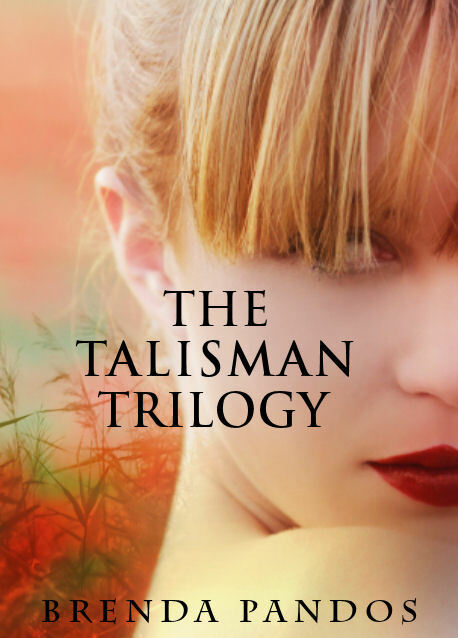 Betrayal, secrets, powers and loads of passion, it's a page-turner. But I can't take all the credit for the cover, though. Kristie had a vision in mind and she knew exactly what to say to help me create what she wanted. I wish I could show the mock-up procession from start to finish. You need to pick up all three books right now if you haven't, Promise, Purpose, Genesis so you'll be ready to devour DEVOTION in February! With powerful abilities gained from the Ang’dora and Tristan back by her side, Alexis thinks she’s ready for the next challenge—protecting her son from what appears to be the inevitable. But she has so much to learn about her powers, her new world and the people in it. Nothing is what it seems to be on the surface, including the Amadis. Having believed the secret society to be definitively good and righteous, she discovers she couldn’t have been more wrong. "Wow wow wow Brenda you totally made me cry! After anticipating for your book to be released I devoured it from beginning to end, thank you I loved it!!!" I wish you all could have won. Every review touched my heart and I'm HONORED to have each of you as fans. This is something I never saw in my writing future and your feedback drives me to write more and write better. Somehow, someway, by God's grace I ended up in the middle of something great and I'm thrilled to share that part of my life and entertain you. The rewards are immense and I thank each of you! You all are getting something special in the mail from me very soon! Happy New Year! Make it COUNT! Can love kill? Yes ... if you love a ghoul who hungers for your flesh only slightly less than she does your heart. Yet to the lonely street orphan Victor Standish, who has risked his life for a meal, to find love (even for one magical French Quarter night) is worth dying in the morning. $2.99 on Amazon All profits go to the Salvation Army.